The weather’s getting warmer, the sun’s coming out (sometimes) and the grass is greener. That can only mean one thing: winter is gone and spring is here. That means you can now go for those long walks and outdoor adventures with your pooch that you couldn’t do in winter. So here are a few things you and your furry bestie you should keep in mind this spring. When it comes to the changing season, many people have one thing on their minds; spring cleaning. Yep, spring is the time to get your rubber gloves on, and give their house a well needed spruce. But you should always be careful about how your cleaning products can affect your dog. Many cleaning agents, fertilisers, pesticides, and weed killers contain chemicals that seriously harm dogs. If you’d like to learn more about which cleaning products are harmful to dogs, you can read about them here. Dogs love to spend time out in the garden, especially if they’ve been cooped up in the house all day whilst you’ve been at work. But you should be careful of the plants found in every household garden that could prove to be fatal to dogs. Plants such as lilies, daffodils, and rhododendrons are poisonous too. So if you want to keep your garden safe for your pooch, make sure it’s free from any of these plants. People think that as soon as warm weather arrives, they need to make up for months of inactivity in one go. Yet the best thing is to ease yourself back into an active routine and build up your strength and stamina. This goes the same for your dog. Even though they’ve spent a lot of their time in the house over winter, too much exercise straight away can lead to various aches and pains. 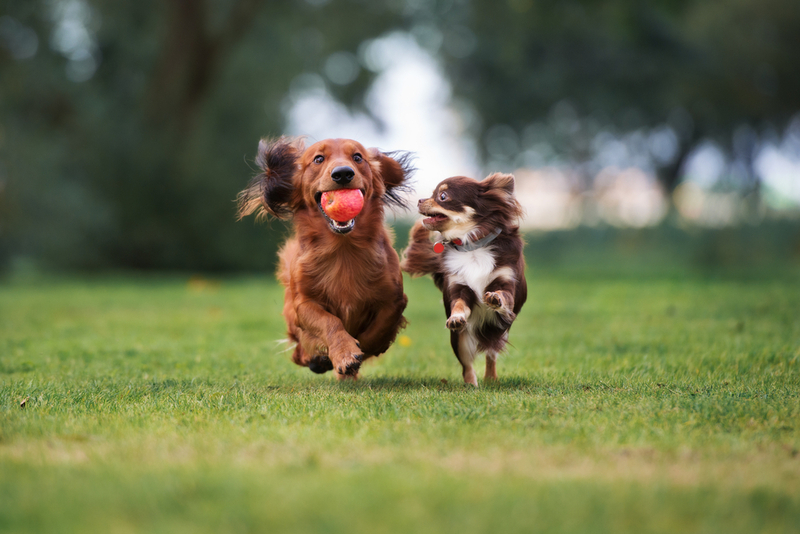 Ease your dog back into their active routines, helping them get used to the regular exercise. It’s that time of year where dogs are running wild in anything they can find, hygienic or not. That means they’ll be in constant risk of ticks and fleas, so you’re should always make sure you and your dog are prepared. For this, you can use a monthly preventative medication to help keep them away. And in the event of your dog attracting ticks and fleas, be sure to have tools like tick removers, tweezers and repellent sprays to remove them. Your dog is going to be taking advantage of the outdoors now they have the chance to play outside in the warm weather. This means there’s a potential for them to run far out of your line of sight and getting lost. That’s why it is essential that your dog is microchipped. Microchipping your dog is now a legal requirement in the UK. So make sure your dog is chipped and your contact details on the microchip database are up to date. Also, make sure your dog is always wearing a collar and tag bearing their owners details whenever they are out in public.